Sleep deprivation can have some scary side effects, and so can sleep interruption. But according to a new study, people that have long and continuous sleep can be in trouble too, at least in their dreams. In a study conducted by the University of Oxford, researchers looked into nightmare occurrence and severity in 846 participants. The study states that approximately one in 20 experience nightmares on a weekly basis, while people with psychiatric problems experience nightmares with a far greater frequency. The sample size was 89 percent female and the median age of the study was 44. The study found that participants who slept longer each evening had a 35 percent increase in nightmare occurrence. “Longer” sleep duration was defined as exceeding nine hours on any given night. The study also observed that the participants who slept less than seven hours per night were also more likely to experience nightmares. 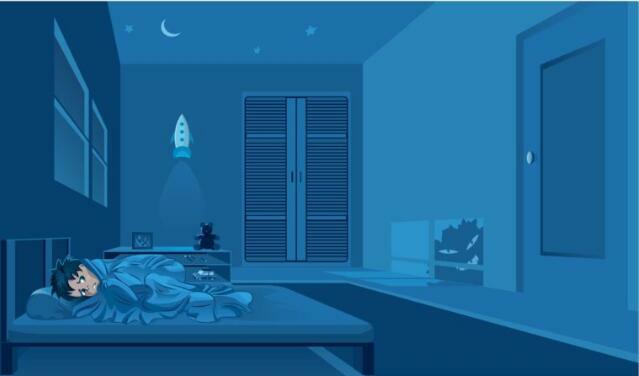 The sweet spot for avoiding nightmares isn’t 7-9 hours per night. Basically, if you drink, you may not dream for the whole of the night, but when you do, it will be intense, an overcompensation for the lost dream time. So, don’t eat spicy food before you go to bed and don’t exceed nine hours of sleep if you want to avoid showing up to the SATs without a pencil and without pants. In your dreams, of course—if that’s happening in real life, sleeping isn’t going to do much to save you.